When it comes to having a good time on a computer children have multiple options available, but those that their parents normally appreciate most are those that test their logic and make them focus all of their senses, like Fruit on Rails. 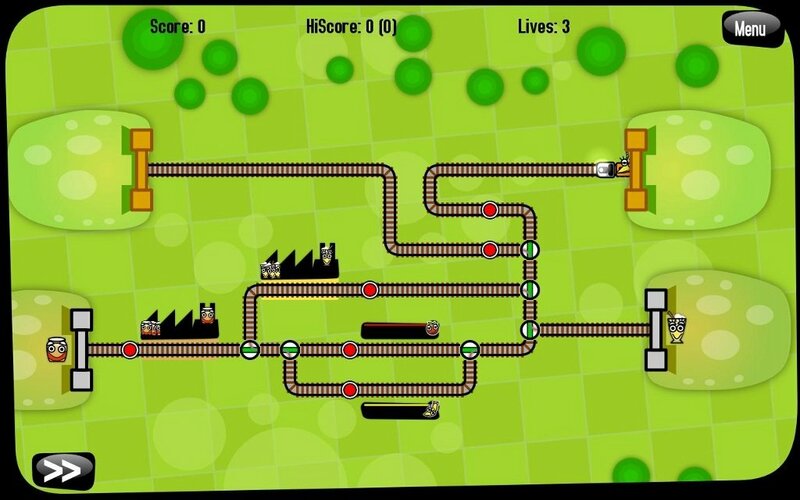 Using simple yet very detailed graphics, Fruit on Rails offers a series of challenges to its players, even though each level has the same objective, to reach 10000 points on each screen. 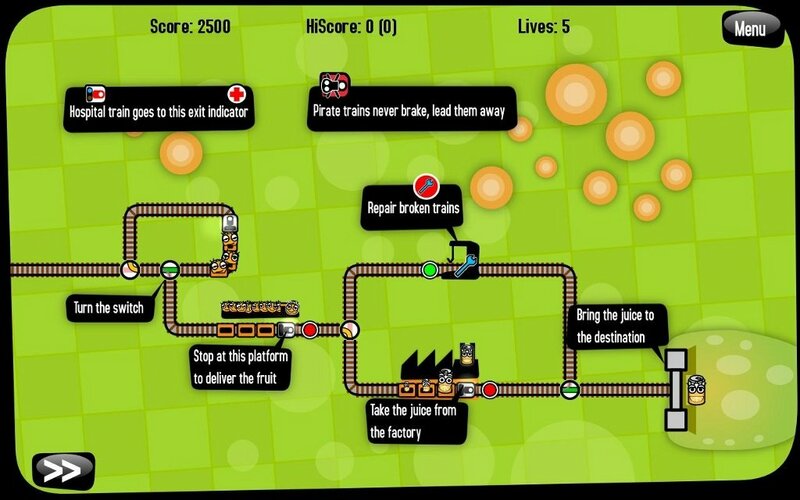 The playing system is rather simple, there is a group of trains loaded with fruit that will enter from one of the tunnels that leads on to the screen and the player has to activate the switches to direct the trains to their corresponding platform while making sure to avoid any accident from taking place. Don't forget to gather the juice and take it to its destination. Just as the trains enter the screen loaded with fruit, the player will have to make sure that they leave the screen via the corresponding exit loaded with juice. The juice will have to be loaded at the different platforms distributed along the rails. 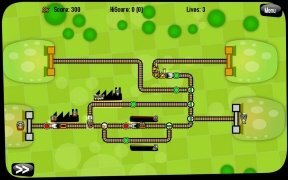 Download Fruit on Rails and enjoy this entertaining game. This download requires that Java RE is installed. The demo allows to play the tutorial and a level of the game.